We are all familiar with the recent case of Charlotte Dawson who used her large online presence to bring to the fore the issue of trolls. Unfortunately, this gave the offenders the public recognition they undeniably crave and we saw every troll come out from under their metaphorical bridges and poor Dawson wound up in hospital. While this example was a personal attack, the issue with trolls extends to the corporate world and businesses need to be prepared to handle them. There is a rise in “Corporate trolling” and we are not talking about healthy online banter where people share opinions and views about a product or an opinion. 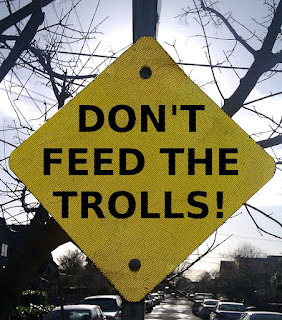 Troll comments are usually unwarranted negativity that is personal, defamatory and generally anonymous. The perception is that because the comments are made online they are somehow easier to ignore or “block”, but taking it from public view does not eliminate the problem and at times can add fuel to the fire. Social media is the forefront for trolls and unfortunately victims are not able to confront their faceless attackers thanks to privacy policies that many online platforms have. These policies that exist to protect our online information from being shared is now the “mask” for these online predators. Earlier this year Commonwealth Bank Australia was the victim of a troll who impersonated one of its senior Bankwest executives. The troll created a fake account under the guise of the staff member and posted inflammatory material about the company. Uncovering the identity of the troll was a costly and unsuccessful exercise because of privacy policies set up by Twitter. Social media risk management is fast becoming a profession in itself with businesses looking to their protect brands online and prevent them from becoming prey to these kinds of attacks. While it’s important your brand is using social media as part of its online strategy, equally imperative is identifying risks of online networking and implementing a plan to deal with issues quickly and effectively. Remind staff of their responsibilities online. Employees are able to associate themselves with your brand via Facebook, LinkedIn and Twitter. In doing so they have a responsibility to ensure these connections do not reflect negatively on your brand. Develop a staff policy that covers posts both personally and on behalf of your brand. Company trolls are fast becoming an issue. Staff should be warned about the consequence of anyone found leaking sensitive or confidential information online or using “inside” information against their employers. Trolls like to attack the vulnerable. Keep messaging in post’s clear and concise. Don’t be left apologising for a comment that was misconstrued or taken the wrong way by a user. Online faux pas spread quicker than wildfire, so always proofread. .
Hashtags are an excellent way to comment on trending topics. However creating your own can result in what is called a hashtag hijack. Be wary of personalised tags especially in a crisis. Indentifying genuine customer concerns from a troll can be difficult. A real issue left by a customer will provide a means of contacting the user, content will have information that is related to a store, time or place and they will be able to provide evidence of the incident. Trolls are usually anonymous and leave little information. Social media provides a large opportunity for businesses to engage online with a broad audience. Trolls are a minority of that audience and with the right policy you will be able to handle issues and negativity quickly and effectively before they become a trending topic on twitter.